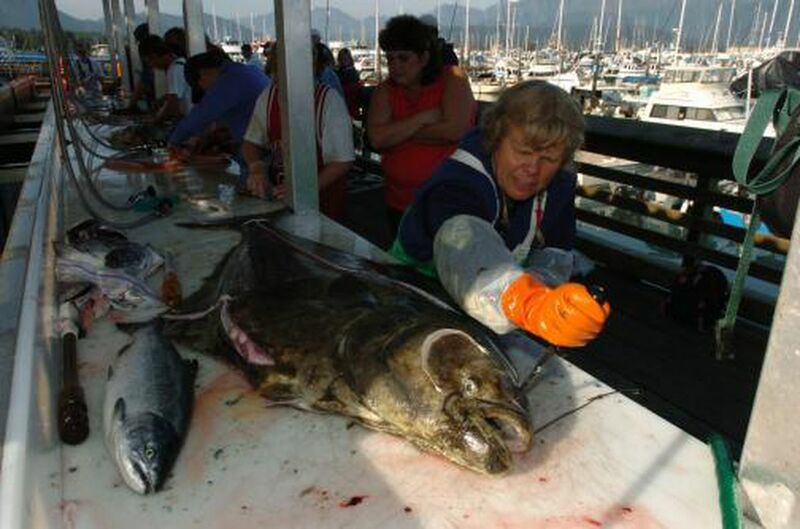 Alaska halibut charters are targeting multiple species. Here’s why. Economic and regulatory factors have over the years forced some Alaska halibut charter fishermen and women to adapt, moving to new waters for their harvests, a new University of Alaska Fairbanks study has found. Researchers at UAF say the study is an important starting point to understanding the impact of such movement on fish stocks and the environment. “When fishermen shift to a new area that has the potential to affect new species, it’s kind of like that footprint of fishing is expanding or contracting, and that’s going to affect the ecosystem more broadly,” said Anne Beaudreau, a professor of fisheries at UAF and one of the researchers on the study. The research, which focused on charter fishing spots around Homer and Sitka, found that moving to different areas also allowed some boats to target salmon, rockfish and lingcod in addition to halibut. In Sitka, the study explains, a regulation that went into effect in 1999 banned both charter and commercial fishing in the Sitka Sound in the summer, forcing charter boats to travel farther away for their harvest. In Homer, something of the opposite happened: While charter boats there historically traveled "10 times farther to their fishing spots than Sitka fishermen," the study said, fuel prices rising in the early 2000s forced them to stay closer to home. "From the fishermen's standpoint," Beaudreau said, "it's showing they're adapting to a changing environment." The study, which interviewed 46 charter fishing operators in 2014 and 2015, suggests that fishing management should consider regulating multiple species, rather than just one. “We’re not really understanding the impact of economics and regulations if we don’t look at the chain that comes after it,” said Maggie Chan, a doctoral student at UAF’s College of Fisheries and Ocean Sciences. She also worked on the study. Richard Yamada, who operates a charter business out of Juneau, said restrictions over the years on the size and number of halibut that customers can catch has led him to pivot his business. He has adapted by tweaking his marketing, focusing more on other species of fish, he said. Beaudreau said one reason for the study was to bring more of a "human dimension" into fisheries management.